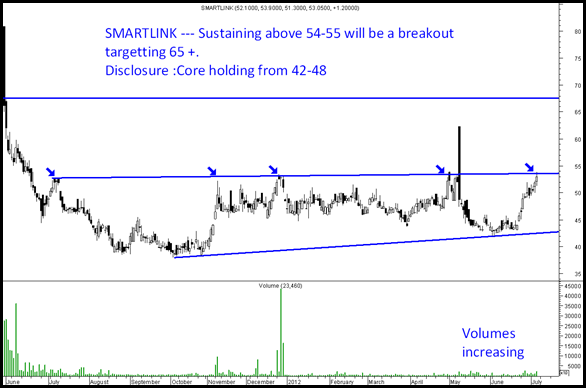 Just posting a few charts on small cap names which can be high rish high returns. There are many more such charts but difficult to update. Disclsoure: Have investments in the stocks discussed below as well as advised to clients. 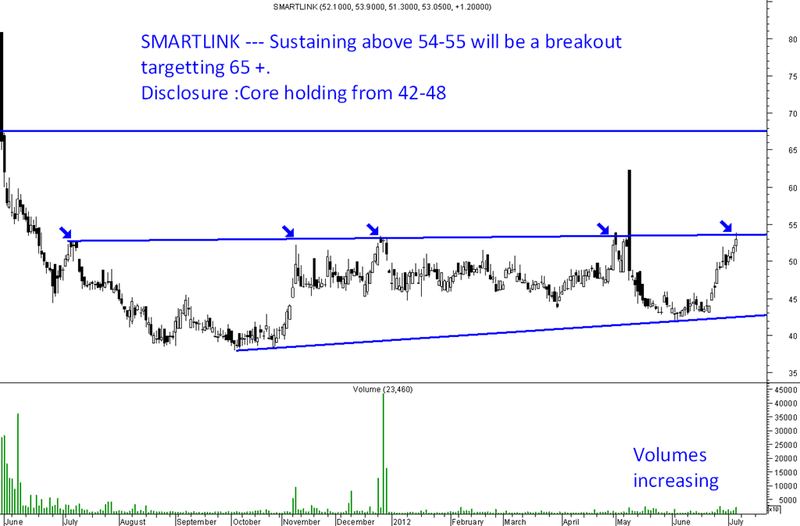 Please do your own research as smallcaps can be risky if not taken with strict stops and risk management. 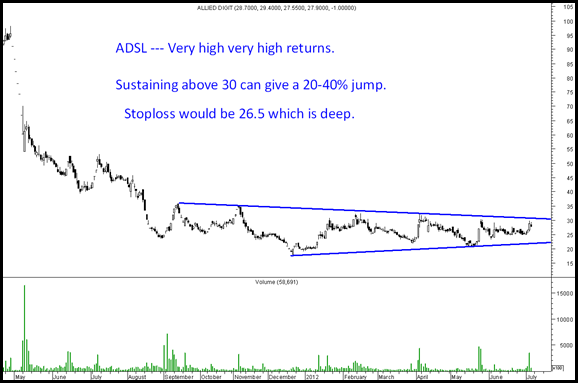 ADSL – It was once on the radars of every broking house at 250. After the governance issue and lots of scam etc it has collapsed. 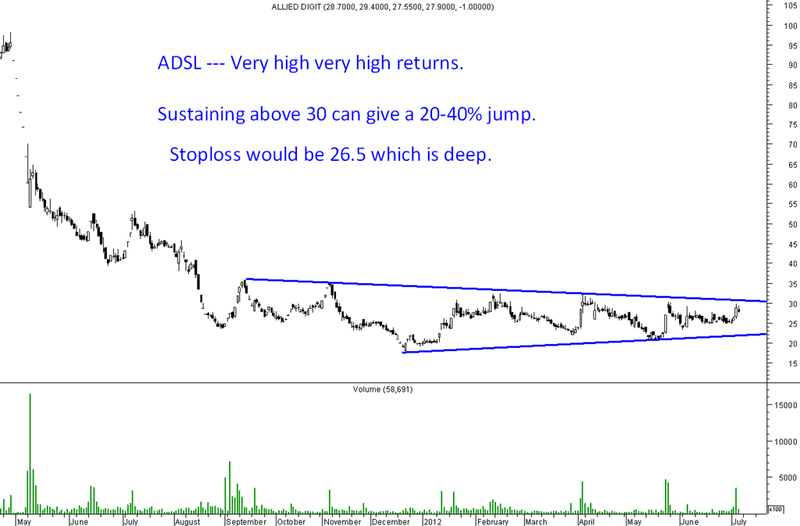 Right now looking at a pure technical view and a gamble on the stock. 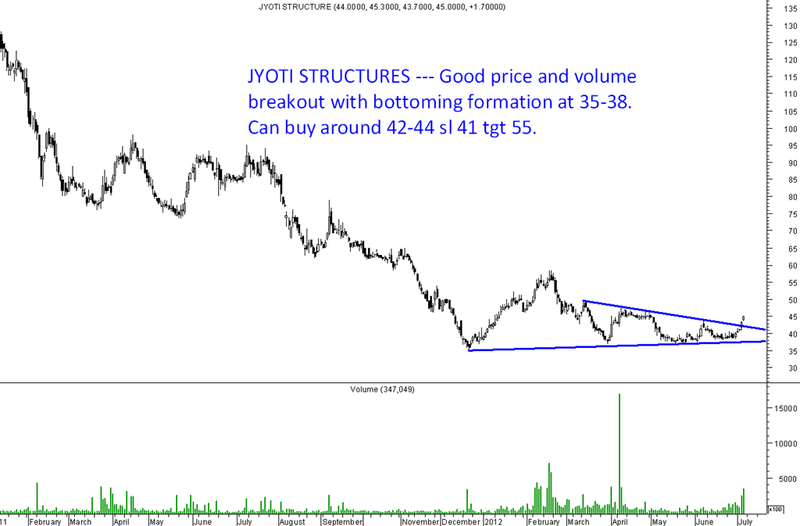 Jyoti Structures – Another high risk high return play but breakout is confirmed with higher volumes. Saw you on MC. very glad you have recommended this stock. I am holding from 50 levels and had added some at 40. 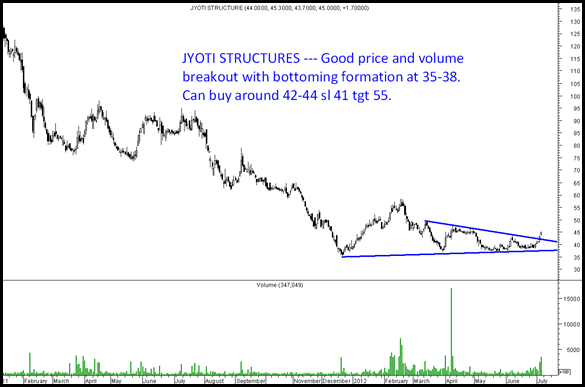 Sir do you still think this is a high risk high return or can it be termed as safe bet for 55 levels in mid term and if govt policies are good then can it be a multibagger?